When people imagine RV adventures, they often picture green campgrounds and bright summer skies. But, there’s plenty of fun to be had in the offseason: from leaf-peeping to snowmobiling to downhill and cross-country skiing. 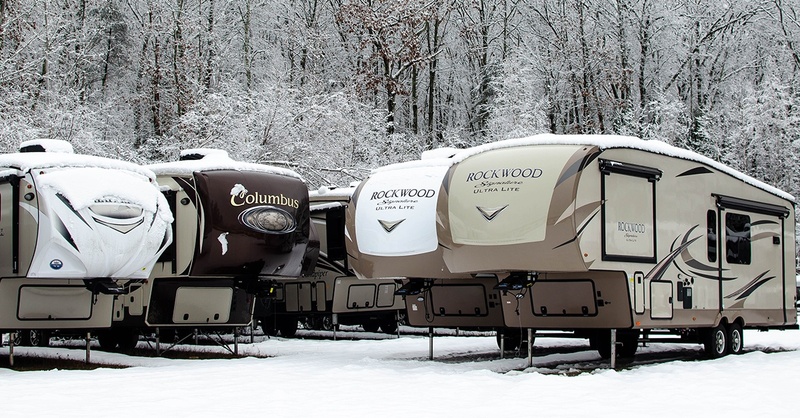 If you want to enjoy outdoor activities in the fall and winter, you should look for RVs that feature extended season, four-season or arctic packages. These generally include enclosed and heated underbellies to keep the water tanks from freezing, extra insulation to maintain warm interior temperatures, dual pane windows and other accessories to protect against extreme weather. 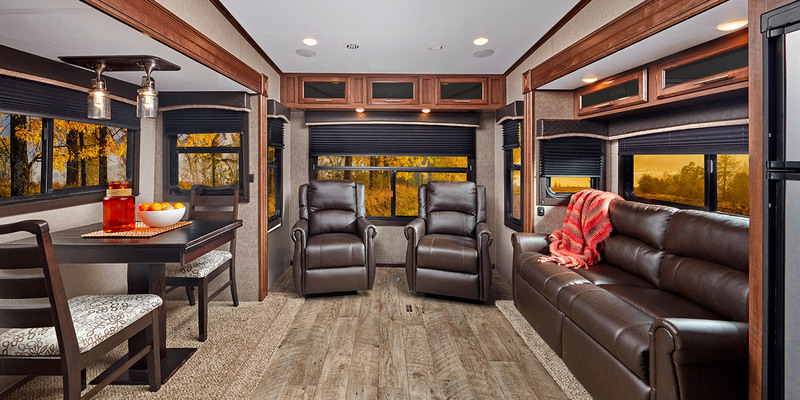 To help you, we are highlighting four fifth wheels that are built to keep you outdoors and on the road even after summer ends. 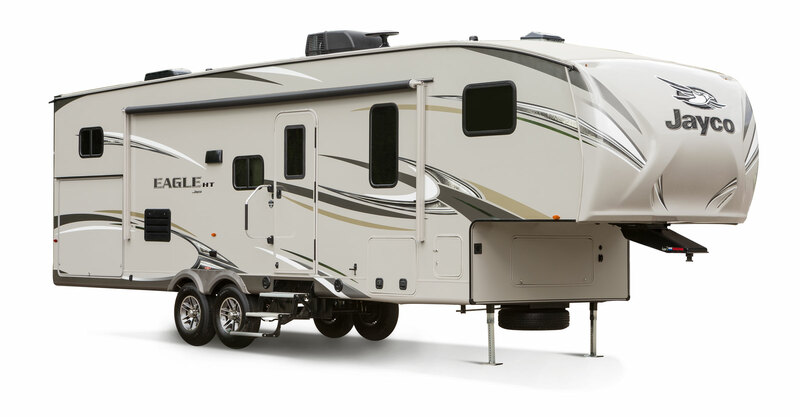 The Forest River Cherokee Arctic Wolf is an affordable, entry-level fifth wheel. 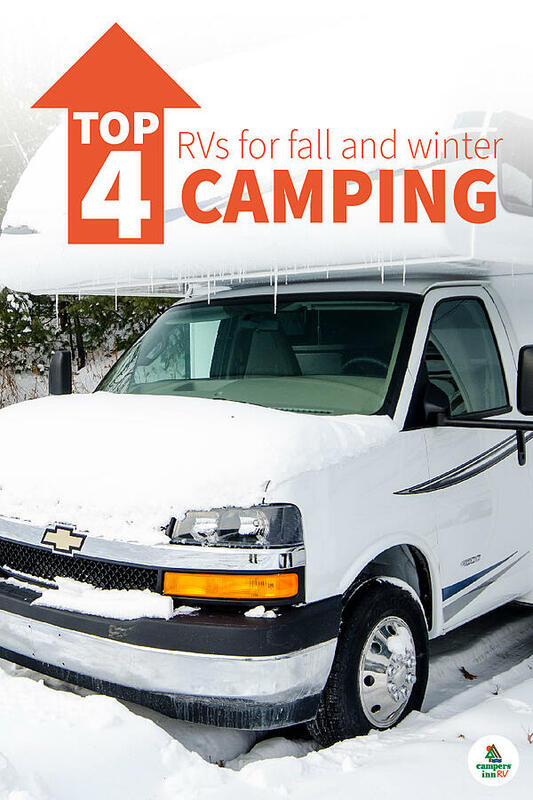 With the Extreme Weather Package included, it is a great RV for younger families who love winter activities. The Arctic Wolf comes in six floorplans with a variety of layouts options, including a bunkhouse and single or dual slides. It is built to be towable by a light duty truck, and it won RV Pro’s Best of Show in 2017. 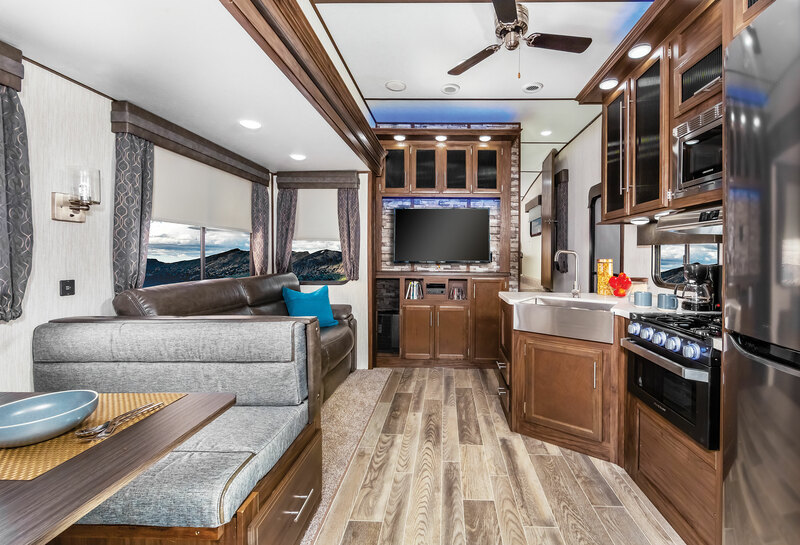 The Jayco Eagle HTX fifth wheel is built with a Climate Shield Ultimate Weather Protection package, which maintains an even internal temperature and protects water tanks in extreme heat and cold. 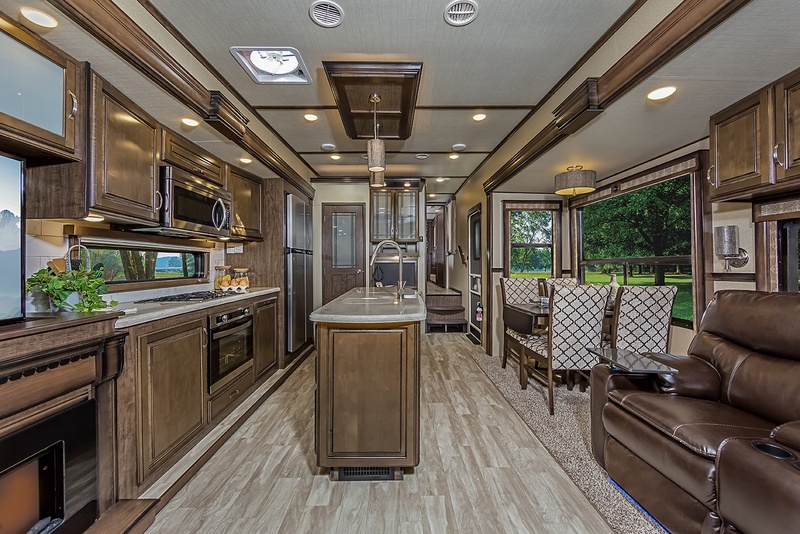 The Eagle comes in eleven floorplans and features two interior design options: the light, rustic “Modern Farmhouse” and the brown maple-accented “American Tradition.” This half-ton towable rig is perfect for RVers who want to enjoy the outdoors in all conditions. 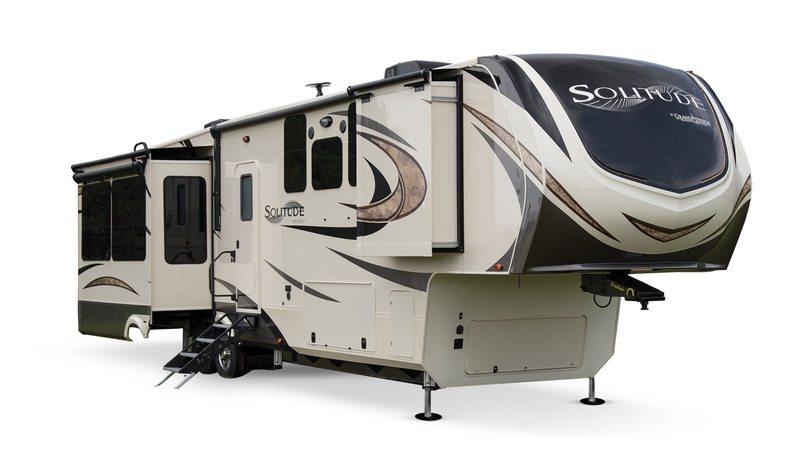 The Grand Design Solitude is a luxury fifth wheel made for long-term and full-time RVing. It features a mandatory Weather-Tek Package that is tested from 0 to 100 degrees. It is available in 10 roomy floorplans and features residential-sized appliances and furnishings, including a full-sized fridge, theatre seating and tri-fold sofas. 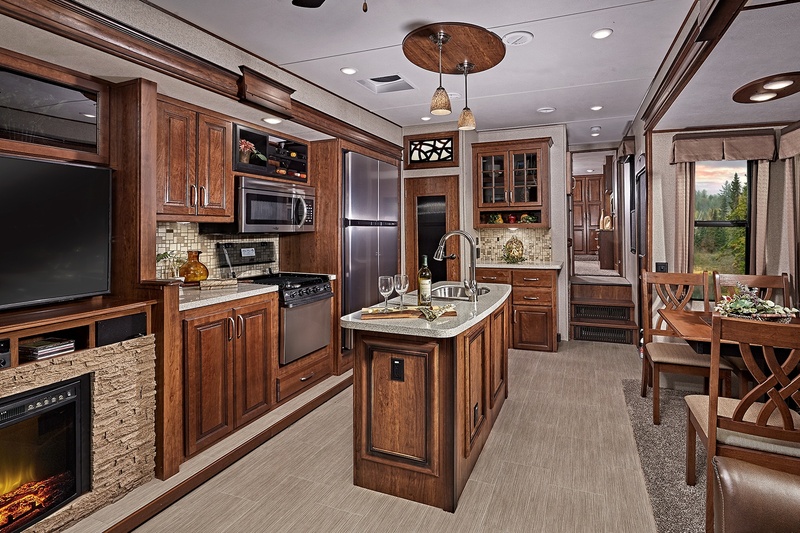 Keystone RV Avalanche was created for families, and it offers several floorplan options, including bunkhouses, rear dens and outdoor patios. It features solid-wood cabinets and drawers, as well as panoramic windows on the slides. 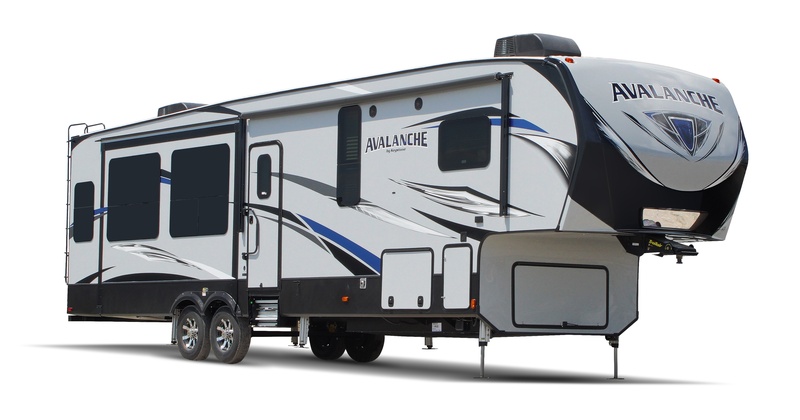 The Avalanche’s Base Camp Collection package adds triple-insulated holding tanks for extended season adventures. When you are winter camping, you need to be aware of storms and blizzards. 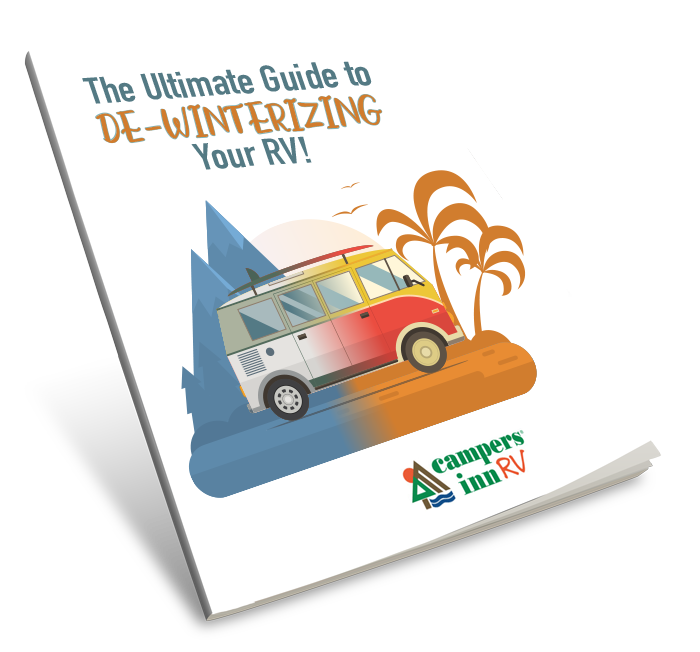 Download our free guide to RVing in bad weather.